There are many common questions below that are best addressed by contacting your dental office directly via phone. Please see the “locations” section to find the phone number for your particular office. You may also want to review our list of Frequently Asked Questions (FAQs) first as it may answer your specific question. Please note we are unable to diagnose, provide advice or offer treatment on-line, over the phone or by mail. Contact your dentist to schedule an appointment to discuss dental care needs. To schedule, reschedule or cancel your appointment please call your dental office directly. You can also request an appointment on-line. Do not use the form on the right for appointment related requests. Please note that you must call your dental office to cancel an existing appointment. Please contact your dental office directly with any billing questions. Requests for record transfer need to be sent directly to your dental office. If you have a dental emergency during regular business hours, please call your dental office, and the Advanced Dental Specialists team will assess your information and advise you as to the most appropriate next steps. After business hours, the Advanced Dental Specialists on-call service will alert the on-call dentist to your situation. The dentist will then contact you for additional information, and to discuss how to proceed. 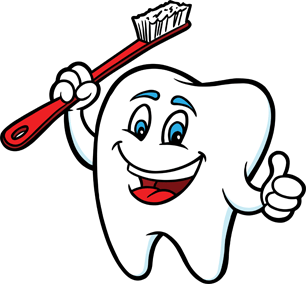 Or please view our After Hours Care page with advice on how to handle a dental emergency. Please review our list of Frequently Asked Questions (FAQs) first as it may answer your specific question. Please note we are unable to diagnose, provide advice or offer treatment online, over the phone or by mail. Contact your dentist to schedule an appointment to discuss dental care needs. For all other questions or to send us a comment or suggestion, please use the form on the right. This form is for general questions only. It is not for booking appointments, canceling appointments, or dental emergencies. Please do not put dental or health information in the comments box.